By the latter half of the 18th century, the “China trade” was well-established and was an integral part of the British mercantile system. American colonists could only obtain Chinese goods carried by the ships of the British East India Company and, in one notable incident, expressed their displeasure with British political control by dumping Chinese tea into Boston Harbor. After prevailing in their revolutionary struggle, these newly independent Americans found themselves cut off from British trade and Chinese trade goods. The preliminary peace treaty with England was signed in November 1782, and by March 1783, American merchants were already beginning to plan a U.S. trade mission to China. A new ship was built in 1783 in Boston, the Empress of China, and the mission was financed by several wealthy American merchants, including Robert Morris, who was known as the “Financier of the Revolution.” The investors filled the ship with the one thing that the Chinese wanted—ginseng. In all, about 30 tons of ginseng from western Pennsylvania and Virginia made up the bulk of the trading cargo, along with $18,000 in silver coin. Shaw and Green also carried a copy of the Declaration of Independence and copies of “several treaties made with different European powers,” presumably to prove that the United States really did exist. “You will show these things as occasion may require and avoiding all Insult to others you will consult your own Honor and that of the Country whose Commission you bear; if any are Offered to you.” The owners also provided a “sea letter” from the U.S. Congress—just in case the Chinese required such formality. After a journey of 18,000 miles, the Empress of China sailed up the Pearl River and into Guangzhou (Canton) on August 28, 1784, and the United States formally entered the China trade. Upon their arrival, Shaw and Green found that foreigners were confined to a tiny, claustrophobic district within Guangzhou, where they were allowed to reside for only short times during the year. Most of the time, they lived in the Portuguese colony of Macao. As Samuel Shaw wrote in his diary, “Europeans, after a dozen years’ residence, have not seen more than what the first month presented to view.” Contact was restricted to a small group of Chinese firms, or hong, which were responsible for the housing and behavior of the foreigners with whom they traded. Each hong merchant received a special, temporary imperial license to interact with foreigners and reported to the Chief of Customs. The Americans became the clients of Puankehequa, one of the ablest of the hong merchants. The trading mission was a success, and on December 28, 1784, the Empress of China set sail for Hwa-Ke (“Flowery Flag”), the name the Chinese had given to the United States. The Chinese lit firecrackers to “awaken the gods to the vessel’s departure” and give them good sailing. The ship arrived back in New York on May 11, 1785, filled with tea, silks, “fine tea table china in sets,” and gunpowder. The Government of the United States was pleased by the success of the voyage. Secretary of Foreign Affairs John Jay wrote of the “peculiar satisfaction” of the Congress upon the establishment of direct trade. Samuel Shaw was “honored by Congress with their commission of Consul at Canton,” and became the first American diplomatic representative to China, returning to China in 1786. While the first voyage of the Empress of China returned a 25 percent profit, later merchants always wrestled with the difficulty of trade goods for China. The Chinese wanted silver, which was the basis of their monetary system, but U.S. merchants had only limited supplies of the precious metal. They found a market for the animal skins and ginseng root from the Northwest Territories and Appalachia, but the value of these did not equal that of the demand for tea and other Chinese goods in the United States. Although U.S. merchants played only a small role in China’s foreign trade, some American traders did acquire substantial wealth. After only 5 or 10 years in the Far East, they generally returned with well over $100,000, more than enough to retire in comfort. U.S. companies were generally family-run affairs, led by men such as John Cushing, brothers John Murray and Robert Bennet Forbes, and Warren Delano, Jr., the grandfather of future President Franklin Delano Roosevelt. China traders played a key role in expanding American awareness of China through their collections of art and artifacts. For example, during his 12 years in China—and with the help of his Chinese counterparts—Philadelphia merchant Nathan Dunn assembled a collection of 1,200 items, ranging from paintings, ceramics, and bronzes, to furniture, botanical specimens, and items for daily use. After he returned to his native city, in 1839 he displayed the collection in a “Chinese Museum.” Dunn intended to give visitors a window on Chinese life by dividing the exhibit hall into rooms and cases that displayed objects in replicas of their original settings, complete with statues of Chinese people. More than 100,000 people passed through the exhibit before it closed in 1841 and was moved to London. Exhibits such as Dunn’s sparked an interest in collecting—and even studying—Chinese art, which later flourished at the turn of the century. Some of the China traders developed close ties with the hong merchants, who themselves were tremendously wealthy. For example, when one hong merchant, Howqua, wanted to invest some of his $50 million fortune in the United States, he turned to the Forbes brothers. They managed his investments through their positions with a leading U.S. firm, Russell & Co., and paid dividends of $40,000 a year to Howqua and his descendents for decades. For the first 60 years after the 1784 voyage of the Empress of China, U.S. diplomatic representation was confined to the consular level. [Note: this passage taken from intro paragraph] In 1843, Secretary of State Daniel Webster dispatched Caleb Cushing as Envoy Extraordinary and Minister Plenipotentiary to negotiate a treaty for trading and diplomatic rights with the Qing Dynasty. On July 3, 1844, Cushing and the Qing Dynasty official Qiying signed the Treaty of Wangxia, which marked the beginning of official relations between the United States and China. Cushing’s successor, Alexander Everett, was appointed Commissioner in 1845, but the Senate failed to confirm him as Envoy and Minister. He died at post less than one year after his arrival. American diplomacy’s low profile was in part the result of the short careers and limited scope of action of the U.S. officials who served in China. Of the 17 ministers posted there between 1844 and 1900, most had a tenure of less than two years, and two—Everett and Benjamin Avery—died of disease while at post. All of them acted on an ad hoc basis, since the U.S. Government had no formal policy towards China throughout the 19th century. The resulting treaty, the Burlingame Treaty, signed by Burlingame and U.S. Secretary of State William H. Seward, expanded contact between Chinese and Americans. It ensured the reciprocal rights of travel, residence, and study; it provided Chinese consuls with full diplomatic rights in U.S. ports; it encouraged Chinese laborers to immigrate to the United States; and it offered official U.S. support for Chinese territorial sovereignty. The two sides signed the treaty in 1868 and ratified it the following year. Several years after ratifying the Burlingame Treaty, the Qing court established a legation in Washington, D.C. Chen Lanbin, who had already spent several years in the United States leading a group of students, was appointed to head the legation. Although he accepted the post, Chen remained in China for a time and did not proceed immediately to Washington. Until his arrival, Yung Wing, a naturalized U.S. citizen, served as temporary minister. One of Yung’s first tasks was finding a home for China’s diplomats. He obtained a lease on a stately Victorian mansion known as the Stewart Castle, located near other foreign legations in the Dupont Circle neighborhood. Chen’s arrival in 1878 marked the beginning of full bilateral diplomatic relations between the two countries. Educational endeavors early on became one of the most fruitful arenas for U.S.-China collaboration. In the first decades of the 20th century, dozens of schools and colleges were established in China, altogether teaching between 10 and 20 percent of China’s post-secondary students in any given year. These institutions emphasized instruction in English, philosophy, religion, and the sciences, and also stressed physical education and athletics. The Yale-China Association originally was established in 1901 as the Yale Foreign Missionary Society, in part to honor a Yale graduate, Horace Tracy Pitkin, who had died during the Boxer Uprising. Almost immediately after its founding, the Association shifted its focus from missionary activity to education and medical enterprises. The Association founded several of the most important institutions in China, including sites in Changsha, as well as Yenching University in Beijing, which integrated three existing colleges and had a mixed faculty of Chinese and foreign professors. Graduates of these schools maintained close ties to each other throughout their lives, and, in 1952, China’s flagship institution, Beijing University, took over Yenching University’s former campus. One of Yale-China’s other ventures, the Hsing-Ya Medical College, Nursing School, and Hospital, became renowned as a the top source for training in Western medical procedures in China. Americans also launched a number of other educational initiatives, many of them in conjunction with Chinese partners. These ranged from the agricultural and industrial school in rural Taigu, Shanxi Province, to the much larger Peking Union Medical College (PUMC). The Rockefeller Foundation funded PUMC as a flagship medical institution, based on the model of The Johns Hopkins University—a single institution that combined teaching, research, and practice. Founded in 1915 and opened in 1921, the goal of PUMC was to train doctors and nurses as the core of China’s medical profession. PUMC initially focused on creating an elite group of professionals, but in the long run graduates such as Yang Zhongrui and Chen Zhiqian transformed medical practice in urban and rural China by training midwives and village doctors. The children of missionaries often used their unique experiences to foster improved U.S.-China relations. Some harnessed their talents as writers and educators to bring a more vibrant image of China to a wide audience of American citizens. 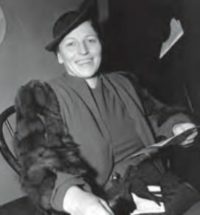 Authors, including Nobel Prize winner Pearl S. Buck, wrote novels that served as a window into Chinese life and culture. Journalist Henry Luce launched high profile magazines, such as Time and Life, which helped to rally support in the United States for China’s fight against Japan. Other missionary children used their background in China to help shape the broader U.S.-China relationship by joining the diplomatic service. John Leighton Stuart served as the last U.S. Ambassador to Beijing prior to 1949, and career diplomat John S. Service argued in favor of U.S. neutrality in China’s civil war and recognition of the People’s Republic of China (PRC) when it was established. Arthur Hummel, Jr. and James Lilley both became Ambassadors to China after normalization. The legacy of the missionaries far outlived the heyday of their activity. By the 1920s, some Americans traveling to China used their first-hand knowledge to advocate on China’s behalf. Edgar Snow, for example, came to China in 1928 while on a journey around the world. After landing a position as a journalist in Shanghai, he remained in the country for the next 13 years, developing a reputation as one of the best reporters on events in China. In 1936, he became the first American to meet with Communist leaders Mao Zedong and Zhou Enlai at their remote mountain camp of Yan’an. In search of adventure, Helen Foster (later Helen Foster Snow) traveled to Shanghai in 1931 to work at the U.S. consulate and file reports for U.S. newspapers. Over the next decade, she took full advantage of her extraterritorial privileges as a foreigner to study and write about China, promote nationalistic causes that could lead to the restoration of Chinese sovereignty, and make her own journey to visit the Communists in 1937. Together with a number of other journalists and scholars, the Snows formed the core of a group that exerted a tremendous influence on U.S. perceptions of China. The study of China in the United States also took off during the 1930s. In the early 1930s, a young historian named John King Fairbank arrived in China, and spent five years studying Chinese, gathering materials, and learning from Chinese academics steeped in their own history, archaeology, and literature, many of whom had studied in the United States. After returning to teach at Harvard University in 1936, Fairbank spent most of his career creating and developing the field of Chinese history and working to improve relations between the two nations. At roughly the same time, a scholar named Laurence Sickman traveled to China to acquire art for the Nelson-Atkins Museum of Art in Kansas City. The knowledge he developed in China would serve as the basis for the study of Chinese art history in the United States. Military developments drew Americans and Chinese closer together. United States support for China increased dramatically soon after the outbreak of the second Sino-Japanese War (1937–45). After Japan launched an all-out offensive in China in the summer of 1937, American popular opinion shifted overwhelmingly in China’s favor. Over the next few years, the U.S. Government extended aid to the Nationalist Government, first through credits for purchases and then through the Lend-Lease program. At the same time, it increased pressure on Japan, ultimately enacting an embargo after Japan expanded its military offensive into Southeast Asia. Individual Americans also made important contributions to the Chinese war effort. When the Japanese Army rampaged through Nanjing in late 1937, a German businessman formed the International Committee for the Nanjing Safety Zone to protect 200,000 Chinese citizens from the Japanese invaders. A group of American teachers, missionaries, and doctors—including Lewis Smythe, Miner Searle Bates, Wilhelmina “Minnie” Vautrin, Robert Wilson, and George Fitch—were crucial to this effort. In addition to providing food, medical care, and the protection afforded by their status as non-Chinese, they tried, with limited success, to raise international support for China by publicizing accounts and pictures of the Japanese assault on Nanjing. While these Americans protected Chinese from the war, others launched a plan to help China fight it. In 1938, Helen Foster Snow, Edgar Snow, and a small group of other foreigners came up with a model for small Industrial Cooperatives (Indusco) that could be established with relative ease in remote areas, in order to produce supplies of crucial materials for the war effort. The Nationalist Government picked up on the plan immediately and provided initial funding for the project, and soon Communist leaders also adopted the idea. The organizers drew upon private donations from the United States and elsewhere to raise more funds, which were then funneled to individual cooperatives. Its spirit of cooperation and hard work even introduced a new term to the English language, “gung ho,” which was the Chinese name for the project. American aid also appeared in the form of direct combat involvement. Claire Lee Chennault, a retired Army Air Corps pilot, went to China in 1937 and became one of Jiang Jieshi’s military advisers. Together with Chinese officials, he soon began lobbying the U.S. Government for military supplies and support for the Nationalists’ resistance. In 1940, he finally achieved his goal when President Franklin D. Roosevelt gave 100 fighter planes to China and allowed Chennault to recruit pilots from among the U.S. military ranks to fly the planes and train Chinese pilots. The American Volunteer Group, more popularly known as the Flying Tigers, began operations in late 1941, and had dramatic success against the more numerous Japanese planes. Based in Yunnan Province, they helped to keep the Burma Road open until 1942, so that supplies could continue to come in overland. 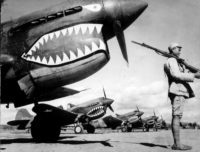 The Flying Tigers also served as effective ambassadors for the United States, drawing the admiration of many Chinese for their aid in the fight against Japan. For example, soon after the war ended, the village of Xiangyun, in central Yunnan, erected a memorial honoring Lieutenant Robert Mooney, a pilot, who had been fatally wounded while driving off a squadron of Japanese planes, before crash landing just outside of town. Later destroyed during China’s Cultural Revolution (1966–76), the monument was rebuilt in the early 1990s. Collaboration between the United States and China reached its zenith after Japan’s bombing of Pearl Harbor in 1941. The United States no longer had to limit its assistance to China and immediately engaged in a formal alliance to fight the common enemy. President Roosevelt sent General Joseph Stilwell, who had completed several tours of duty in China after World War I, to the wartime capital of Chongqing (Chungking) to serve as a military adviser to the Chinese Government and as the leader of United States forces in the region. Roosevelt funneled as much aid as possible to China to support the anti-Japanese resistance. Chennault was promoted to the rank of General, and the Flying Tigers were reorganized as part of the formal U.S. forces in China. Roosevelt also took the symbolic step of making China one of the Big Four allied powers of World War II and one of the ABCD powers (American, British, Chinese, Dutch) fighting Japan in Asia. In addition, in 1943, the United States abolished its exclusionary immigration laws and joined with Britain in ending extraterritoriality, and in recognizing China’s future sovereignty over Taiwan and Manchuria once Japan was defeated. The combination of U.S. supplies and training and Chinese military forces proved effective in keeping Japan tied down in China for years, while the United States pressed the battle by air and sea. Tensions in Chongqing peaked in 1944. The Nationalist forces were in disarray and were often bitterly resented by the local populace wherever they went. The Government was internally divided, with sharp criticism coming from many quarters, including General Stilwell. Roosevelt tried to convince Jiang to put Stilwell in charge of all Chinese forces, but this provoked a bitter reaction, which ultimately led to Stilwell’s recall and his replacement by General Albert Wedemeyer. Although Roosevelt bowed to Jiang’s wishes in this case, the United States had already decided to explore relations with the Communists. In the summer of 1944, the United States sent a small group of observers, “the Dixie Mission,” under the leadership of diplomat John S. Service, to Yan’an. Over several months, this group became favorably impressed with the discipline and organization of the Communist leadership and forces, and drew up several proposals for providing direct aid to the Communists. Jiang vehemently opposed such actions. Wedemeyer and Patrick Hurley, the new U.S. Ambassador, obliged Jiang and abandoned the plans. Relations between China and the United States improved during the waning stages of World War II. Americans and Chinese could point to numerous examples of joint action in the course of waging the war, because the United States had been China’s strongest international ally throughout the long conflict. Perhaps most important, the American and Chinese people came out of the war with better opinions of each other than they had at the start. Like the monument to a lone American pilot that still stands in rural Yunnan Province, these opinions would outlast the bitter disputes of the next few decades. During the late1950s and early 1960s, a few isolated voices began to call for a reassessment of U.S. policy toward China. In May 1959, California Senator Clair Engle called for a more conciliatory approach to the People’s Republic of China, while the Senate Foreign Relations Committee asked scholars to formulate alternative approaches to current U.S. policy. In December 1965, the Department of State’s modification of its China travel ban signaled the first, very small thaw in attitudes toward China. However, only after Richard M. Nixon took office in 1969 did the United States and the PRC start decisively down the path towards formal relations. From the start of his administration, President Nixon privately signaled his willingness to change American policy toward China and begin a dialogue with Beijing. To do so, he enlisted the leaders of both France and Pakistan as intermediaries. In February 1971, Nixon referred to China as the People’s Republic of China for the first time, and in March the Department of State removed all restrictions on the use of U.S. passports for travel to China. In the spring of 1971, the United States Table Tennis Association team was one of a number of competitors participating at an international competition in Japan. An American player named Glenn Cowan missed the team bus and ended up riding on the PRC team bus. One of China’s top players, Zhuang Zedong, gave Cowan a silkscreen of the Hangzhou Mountains. A few days later Cowan presented Zhuang with a T-shirt with a red, white, and blue peace symbol. On April 6, 1971, the Chinese asked their startled American counterparts to visit China. More policy changes followed. On April 14, the United States allowed France to ship vehicles with American-made engines to China, breaking the long-time trade embargo. In April, Premier Zhou En-lai replied to a December 1970 message from President Nixon, paving the way for more intense bilateral exchanges. Diplomatic backchannel communications culminated in National Security Advisor Henry Kissinger’s secret visit to Beijing in July 1971. Kissinger prepared the way for President Nixon’s historic trip to China in February 1972, dubbed by Nixon as “the week that changed the world.” Nixon and Mao agreed on the Shanghai Communiqué, a statement of broad principles rather than a plan for action, and an agreement to begin the process of reestablishing diplomatic ties. In 1973, both governments set up Liaison Offices in the other’s capital. 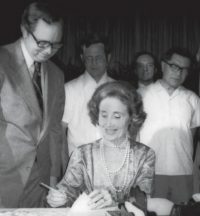 After a prolonged series of talks, the two sides agreed to normalize relations on January 1, 1979, during the administration of President Jimmy Carter. Under the terms of this agreement, the United States recognized the PRC as the sole legal government of China, “acknowledged the Chinese position that there is but one China and Taiwan is a part of China,” and stated that it would maintain cultural, commercial, and other unofficial relations with the people of Taiwan. In February 1979, Deng Xiaopeng became the first leader of the PRC to make an official visit to the United States. Normalization did not mean the end of all disputes; rather, it brought with it a new emphasis on using diplomacy to deal with those disagreements that had previously been handled with generally antagonistic unilateral statements. In fact, these diplomatic channels both kept U.S.-China relations moving forward, and guided the two nations towards areas of growing common interest. The first contact between the PRC and a major American corporation took place even before President Nixon’s visit to Beijing. In January 1972, the Chinese contacted RCA to install a satellite communication earth station in preparation for the visit. Americans quickly realized the potential of U.S.-China trade, and the National Council for U.S.-China Trade was established in Washington in 1973. Even though diplomatic contact had been restored and the potential for profit was huge, American businessmen had little idea how to actually restart trade relations, since admission to the twice yearly Canton Trade Fair was by invitation only. In the spring of 1972, 21,000 international business people—including 20 from the United States— converged on Canton. During the early years, the Americans sold more goods to China than they bought, since China produced few export products. However, that began to change in September 1975, when a delegation from one of China’s foreign trade corporations visited the United States to get a better idea of the kind of products that Americans would buy. As trade grew from $5 million in 1972 to $142 million in 1978, individual Chinese and Americans began to come in contact with each other. During the mid-1970s, about 400 Chinese came to the United States for technical training, and some Americans also were living in China. From 1974 to 1978, for example, Pullman- Kellogg installed eight ammonia fertilizer plants in China, with 140 American workers on-site. The process of reform and opening initiated by Deng Xiaoping, the de facto leader of China at that time, was the single most important factor in pushing trade to the forefront. In their plans, Deng and other reformers emphasized the acquisition of Western technology to modernize China’s defense and its industrial, and consumer production capabilities. As China developed exchange programs with the United States, it placed the highest priority on such activities as sending Chinese doctors and scientists to the United States for study and training and bringing U.S. engineers to China as advisers. To promote trade and foreign investment in the PRC, the Chinese established Special Economic Zones (SEZs) and joint ventures. These SEZs, and a larger number of open coastal cities with similar rules, in some way resembled the treaty ports of the 1920s and 1930s, where foreign-owned factories employed Chinese workers. The joint venture, with majority Chinese interest, became the standard model for any foreign company wishing to set up production in China, in the SEZs or elsewhere. The foreign side of the joint venture provided the capital, technology, and export distribution, while the Chinese side made all of the legal and logistical arrangements necessary to open and staff the factories. As in the 19th century Canton system, the new Chinese companies were often run by government officials who took responsibility for their foreign partners. After a 40-year hiatus in commercial relations, the two sides hurried to make up for lost time. American companies rushed to create joint ventures in far greater numbers than had gone to China in the early 20th century. Giants such as Coca-Cola and General Motors, hundreds of small companies, and even individual entrepreneurs, all wanted to establish a foothold in China. By 1986, more than 300 U.S. companies had signed contracts in China, valued at more than $2.5 billion, and countless others had made the attempt. Although bilateral trade expanded dramatically during the 1980s and 1990s, commercial relations did not always run smoothly. A major irritant was Congress’s annual debate on renewal of Most Favored Nation (MFN) status for China. First extended by President Jimmy Carter in 1979, difficulties continued until President Bill Clinton embarked on a policy of engagement in the mid-1990s. For China, the most significant trade issue in the 1990s was gaining admission to the World Trade Organization (WTO). Admission held numerous economic advantages, along with the symbolic value of being included in the world’s largest trading organization. China received Permanent Normal Trade Relations (PNTR—previously MFN status) from the U.S. Congress in May 2000, and entered the WTO the following year. During the second half of the 20th century, the number of Chinese immigrants to the United States grew rapidly. Chinese-Americans made important contributions to academics and research after World War II. Many of the scholars who became prominent in the field of China studies were themselves from China, and advances in Chinese language study were to a large degree dependent upon native speakers who became teachers. In the sciences, the effect was quite dramatic. Six Chinese who worked in the United States received Nobel Prizes in either physics or chemistry, from T.D. Lee and C.N. Yang in 1957 to Daniel C. Tsui in 1998. These award winners, and many others, also contributed to the development of scientific studies in China, both through developing ties to scientists in China and, in some cases, through taking positions at educational institutions in China, Hong Kong, and Taiwan. Several Chinese-Americans entered into U.S. national politics at the highest levels. In 1959, Hiram Leong Fong became the first Chinese-American—in fact, the first Asian-American—to serve in the U.S. Congress, when he was elected as a Senator from Hawaii. In 1964, Fong also sought the Republican nomination for President. David Wu became the first Chinese-American to serve in the House of Representatives, when he won the seat for the First Congressional District of Oregon. In 2001, Elaine Chao became the first Chinese- American to hold a cabinet level post in the U.S. Government, when President George W. Bush appointed her as Secretary of Labor. Gary Locke became the first Chinese-American Governor in U.S. history in 1997, when he was inaugurated in the State of Washington. Locke’s story was a typical immigrant story. His grandfather had arrived during the 19th century and worked as a servant. His father, a World War II veteran, owned a small grocery store. While serving as governor, Locke said of his family’s experience: “My grandfather came to this country from China nearly a century ago and worked as a servant. Now, I serve as governor just one mile from where my grandfather worked. It took our family a hundred years to travel that mile—it was a voyage we could only make in America.” Gary Locke went on to serve as the United States Secretary of Commerce and as the United States Ambassador to China, both in the Obama Administration. Chinese immigrants have also made significant contributions to the U.S. economy and to technological advances. For example, An Wang, a young electrical engineer, came from Shanghai in 1945 to work on a doctoral degree at Harvard University, where he became involved in research on some of the first electronic computers and developed one of the earliest types of core memory. In June 1951, Dr. Wang founded Wang Laboratories, where he continued research on computer technologies. By the mid-1970s, the company he formed with a classmate from China had become a pioneer in designing and selling personal computers. Building upon Wang’s efforts in developing computer hardware, in the 1990s a Taiwan-born engineering graduate student at Stanford University named Jerry Yang joined with a classmate to develop an online directory to the growing World Wide Web. When their service proved to be incredibly popular, the two redesigned their guide into one of the first Internet search engines, called it Yahoo!, and founded their company of the same name in April 1995. This company led the dot-com boom of the late 1990s, and the massive expansion of the Internet as a primary medium for global communication. Jerry Yang then used Yahoo! to help spread Internet usage in China, making him part of a growing group of Chinese Americans who have promoted trans-Pacific commercial ties. Today, Chinese-Americans are familiar faces in all aspects of American culture and society, whether they were born in China or the United States. Authors such as Iris Chang and Maxine Hong Kingston are well-known for both fiction and non-fiction works. Amy Tan’s book, The Joy Luck Club, spent eight months on the New York Times best-seller list and became a successful motion picture. Tan also wrote Sagwa: The Chinese Siamese Cat, which became a highly successful children’s cartoon. Television anchorwomen Julie Chen and Connie Chung are known to millions of viewers, while television chef Martin Yan also has written more than two dozen cookbooks. Noted architect I.M. Pei designed the East Wing of the National Gallery of Art in Washington, D.C., as well as the Rock and Roll Hall of Fame in Cleveland, Ohio. Chinese-Americans are well represented in the fashion industry by Vivienne Tam and Vera Wang. But it is in the field of sports that Chinese-Americans have emerged in force, with world champion tennis player Michael Chang, gold medal Olympic gymnast (1996) Amy Chow, world champion figure skater Michelle Kwan, and the National Basketball Association’s first international number one draft pick, Yao Ming.